A well-known global tire producer experienced inconsistencies in equipment performance and traceability on their tread line. Printing production information, including recipe codes, line and production codes, is vital for traceability and regulatory compliance. The company’s existing marking system included an outdated contact printer and a competitor’s ink jet system, which proved unreliable due to clogging jets. Clearing the clogged jets required specialized equipment, which resulted in costly downtime. 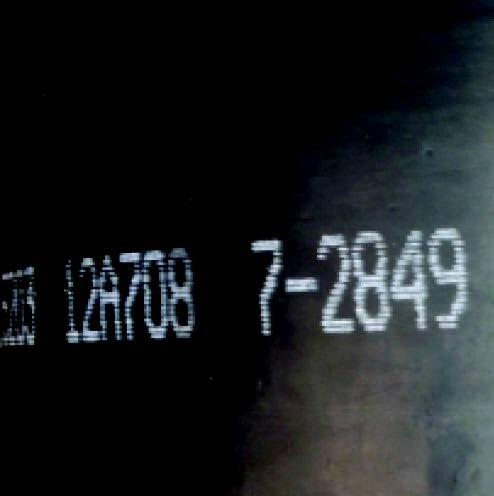 Matthews proposed its curable rubber marking system, ACIS. A strength of this system is that its components are designed to work together, providing a complete system that lowers ink costs and eliminates downtime due to clogged printheads. The system includes Matthews’ 8000+ drop on demand valve jet printhead, known as having the highest quality for industrial markets, and a large capacity ink delivery system. This delivery system was designed specifically for Matthews’ SCP-1020 rubber curable white pigmented ink. By keeping the thick formulation of ink consistently agitated, the ACIS eliminates print head failure due to pigment and particles clumping or dropping out. The company also utilized Matthews’ universal print controller, MPERIA®, to access the plant’s ERP system, allowing the recipe data to be sent directly to the printer’s controller. 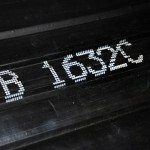 MPERIA® also integrated with a scale measuring the weight of the tread, changing the message to a default “XXXX” if the tread stock goes over or under required weight limits. Matthews’ system proved to work consistently and reliably on one production line, in one plant. Once the tire manufacturer experienced reliable success in this plant, the ACIS was installed in four additional facilities, for a total of 12 installed ACIS systems.